Oil lamps may be one of mankind's earliest sources of portable, artificial light, dating back to 15,000 years B.C. Today, an oil lamp may be a decor choice, a source of emergency lighting in case of power outage or a light for outdoor activities and camping. The mechanism is simple: an absorbent wick transports liquid fuel that is consumed by the flame. A properly functioning oil lamp produces more light than a candle. 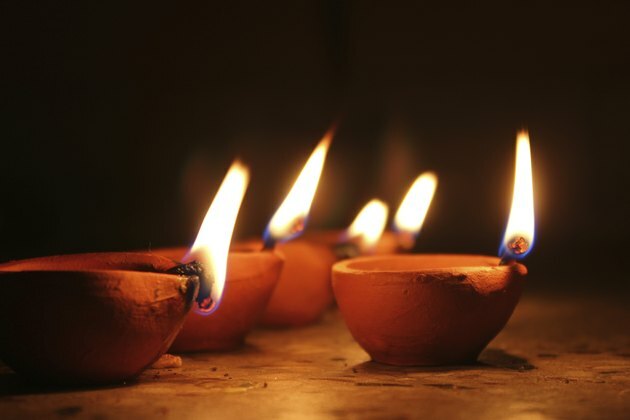 Simple clay oil lamps are still used around the world. All oil lamps have the same basic components: a container for liquid fuel and a wick. The type you use depends on the needed purpose and your personal tastes and needs. Modern oil lamps come in two basic forms. Floating Wick Lamps -- a thin wick is passed through a cork -- or other floating material -- and placed in a container of fuel or a mixture of oil and water. Floating wick lamps are mostly used as decorative lamps. Adjustable Flat or Round Wick Lamps -- the wick passes through a metal burner directly into the fuel container. 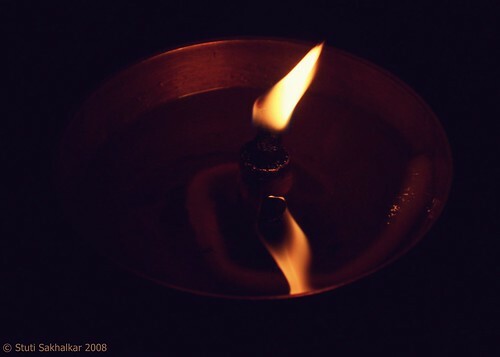 Adjusting the height of the wick creates more or less light. This type of oil lamp usually has a glass chimney or globe to help protect the flame. Classic camping lanterns are also a type of oil lamps, where liquid fuel feeds a fiber mantle encased inside glass held by a metal frame. Oil lamps that follow ancient designs resemble tea pots without the lid: they have a spout for the wick and a handle for carrying the lamp that also houses the fuel. Wicks come in a wide range of sizes and shapes. They are generally made from natural fibers such as cotton, flax or even hemp. The job of the wick is to transport the fuel from the container to the flame. Capillary action draws the liquid fuel up the wick, which prevents the wick from burning up; the flame actually burns just above the wick's surface. The heat chars the top of the wick. Regular wick trimming prevents smoking and produces the cleanest flame. Wick shape is often simple a matter of the type of lantern and how much space is available for it. A round wick generally produces a cleaner burn than a flat wick, but flat wicks are available in much larger sizes that can produce more light. Flat wicks perform best when trimmed to a triangular shaped point. An oil lamp won't function without fuel. You can make an oil lamp from just about any oil and natural-fiber wick, but most modern oil lamps use a liquid fuel. The most common commercial option is usually labeled lamp oil -- basically liquid paraffin. 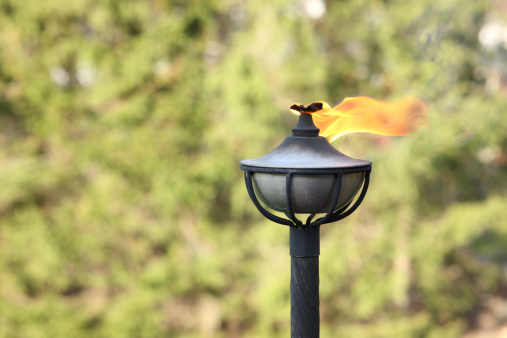 Oils made for outdoor lamps and torches often include citronella or other additives to help scent the lamp and act as a bug repellent. Another fuel option includes kerosene also called "clear white" or "water clear" kerosene. Kerosene lanterns are best used outdoors because of their fumes. In simple floating-wick style lamps, or the classic handheld lamps, almost any form of oil will work, though olive oil is one of the most commonly used fuels.